CGIAR OCS wins an award! In April 2016 Unit4 held its Connect Conference, their first ever global user conference in Amsterdam. During the event, 12 organizations were recognized for their implementation of Unit4 products in six categories. CGIAR was nominated and came runner up to UNOPS in the category dubbed “Special Achievement”. The Operational Support Unit (OSU) had submitted an application at the request of Nick Gibson, the CGIAR Account Manager at Unit 4. The submission mainly covered the achievements of the OCS project and the challenges faced. This award was meant to recognize 10 independent, but allied, organizations who had proved that they could work together to implement a core client of the same product hosted in a single cloud location. Delegates at the Unit4 Connect Conference were treated to a fascinating presentation on the direction of travel Unit4 is taking with our beloved One Corporate System (OCS). Once the upbeat music died down and the pictures of unfeasibly happy users faded from the screen the sober facts emerged. The number of users affected by the changes Unit4 is now putting in place is numbered in the millions and pretty much every organization which uses UBW (Unit4 Business World – what the rest of the CGIAR world calls OCS) is under financial pressure. From the education sectors, to the non-governmental, local government, health care, logistics, professional services – all areas where UBW has a strong presence – budgets are under pressure. It is not just us at CGIAR feeling the pinch. Shareholders are demanding more value, governments are implementing austerity measures and – as we know – donors are demanding more value and greater visibility of how their funds are spent. Against this background of increasing pressure on the budgets of all organizations which use any type of ERP system we have the perception of users that when compared to the myriad of systems which people use in their private lives – on phones, tablets and PCs – the most unpleasant, unfriendly, unnecessarily complicated and old fashioned systems they use in their daily lives are always in the corporate environment. After all, we do not need training to order goods over Amazon, we can do our personal banking on our phones without the need for a user manual and personal communications across a wide range of apps and media can be picked up by anyone. The reason why corporate systems lag behind those in other areas lies partly in their genesis. They all began as accounting systems for use by finance personnel for whom the interface of indifferently presented rows of numbers was acceptable. The title of this article is apt because the metaphor employed by Unit4 to describe the direction in which they are taking their product is “self-driving software”. Consider the way cars used to be – and many still are. Everything was manual and the driver had lots to do. Remember the choke lever anybody? Now we have automatic gearbox, cruise control, sat-nav, starter buttons, auto wipers and headlights. Even now there are self-driving cars being tested in California and elsewhere with their introduction being mooted within the next decade. So the same is happening with OCS. In Manchester we were treated to a demonstration of the Unit4 bot called Wanda. A voice-activated personal assistant, Wanda integrates with UBW back office processes and gets its language processing tech from Microsoft’s Bot Framework. It responds to language inputs and is currently interfaced with timesheets and purchasing. Its reach throughout the ERP system is set to grow and grow. The following is typical of the way in which Wanda will be used. Please bear in mind that the following transaction is done by voice only using a phone app and there is no keyboard action. Things went very quiet in the hall when this was first presented. We have also seen it used to raise a requisition for a laptop – again using voice only. Want to know how many leave days you have left? Just ask Wanda. It is just possible that some people reading this will respond with a certain justifiable skepticism. Wanda – an interesting experiment of little practical value to be released at some point in the far distant future? Well no actually. Wanda is due to be released in early 2017. It’s also worth pointing out that Advent International paid US$1.6 billion for Unit4 in 2014 so there are others out there who believe that this is a technology with a future. Exciting times for the future of ERP? Possibly, for the first time we can respond with a genuine affirmative. Corporate systems will no longer be the poor relation in comparison with our personal tech. We will no longer need a training course just to enter a requisition. "The best user interface is no interface at all." In 2015 over 25 percent of the world’s population were using smartphones. That number is expected to grow by 10 percent by 2019. More and more of our work can be done using smartphone apps, and in keeping with this trend, CIP, the International Potato Centre, is leading initiatives to do just this. As part of its 2016 IT strategy, CIP will roll out a suite of mobile applications that make completing tasks more convenient. This includes Unit4 Business World Tasks 4.0, an OCS application for managers to approve timesheets, purchase requisitions and absence requests. CIP plans to launch other mobile apps such as Timesheet and Reports, and others not directly related to OCS including the Office 365 app suite, mobile support and video conferencing. Since 2013, a dedicated OCS team made up of IT specialists and other experts have been working hard at the International Centre for Tropical Agriculture (CIAT) to implement the new business platform that is based on Unit4 Business World. 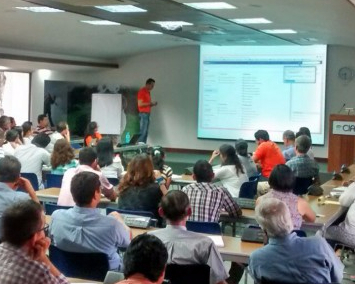 In January 2015, CIAT went live with several key modules such as finance, logistics and travel. Throughout that year the OCS development team worked to enhance these modules, rolled them out to the region and country offices and worked on the configuration of new modules scheduled for implementation in 2016. By January 2016 we were ready to go live with the human resource module comprising 12 sub-modules. This was the signal for the OCS project to transition from an implementation project to operations and continual improvement. The OCS team was then disbanded, with the technical IT specialists rejoining the IT Unit and the subject specialists returning to their Units to become champions of OCS in their respective areas of finance, supplies and human resource management. From the beginning of 2016 the IT Unit acquired full control of the operations and enhancement of OCS across the whole institute. 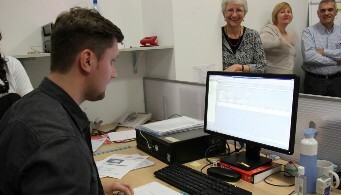 Staff are receiving all the necessary training and the service desk is fully operational, handling all support requests from head office and the regions. Enhancements and new requirements are being developed by a small team within the IT Unit. The OCS training for East and Southern Africa and Latin America was held from Monday 4th April 2016 to Wednesday, 20th April 2016. There were a total of 13 participants drawn from Kenya, Ethiopia, Rwanda Tanzania, Peru, Uganda and Malawi. During the training weeks, participants were first taken through the four common modules: Introduction to UBW, Requisition, Leave and Travel. The different groups then went into more detail and covered modules such as General Ledger, Procurement, Applicant Tracking, Accounts Payable and Receivable, among others. They were also joined by administrators from HQ during the first week when covering the Human Resource modules on Contract Management, Applicant Tracker and Request for Personnel. During the closing session on 20th April 2016, participants had an opportunity to interact with Key Business Users (KBUs), System Builders and Process Experts. They sought clarification on areas that they had not understood well. They were then confirmed as Champions and KBUs in their respective areas and are now involved in training staff based in their respective countries. The training team then moved on to the last stop, West and Central Africa (WCA) in June 2016. Participants were drawn from Cameroon, Mali, Côte d'Ivoire and other WCA site offices. There are a total of 129 trainees, out of whom 21 are key business users (KBUs). So far, a total of 454 ICRAF staff have been trained on the system, and we have 70 key business users located in all countries where the organization works. Training on the Project Management module will be launched in Nairobi in the next few months, before it is rolled out to the regions. This training will cover sub-processes such as donor intelligence; call for proposals, ideas, concept notes and proposal development; agreements, sub-agreements and memoranda of understanding (MoUs). CGIAR attended the inaugural Advisory Council meeting for non-profit customers. Unit4 has set up four Advisory Councils based on vertical sectors of their customer base. The other councils comprise Professional Services, Public Services, and Education and Research. Five customers from a sector make up each Advisory Council. In addition to the CG, the other non-profit members are Action Contre La Faim (ACF), Norwegian Red Cross, Save the Children, The Salvation Army and UNOPS. The objective of the Advisory Council is to build a long-term relationship between the customer and Unit4 and establish a sounding board for the Unit4 Business World solution and business development going forward. Members will provide ideas and strategic input into the future requirements of the sector and in return will receive early release of new versions for testing and to provide feedback. During the first meeting we received more detailed insight into the changes made to all parts of Unit4 and discussed new requirements and improvements to the product including: providing development tools and more information to speed up implementation of updates and upgrades, provision of 24/7 support, new modules for grant management (Unit4 are working on designs for Macmillan Cancer Support) and fundraising (connectors to CRM products such as MS Dynamics and SalesForce), and more interactive feedback options for donor reporting by providing access to published reports, project photos, videos and other information that document progress on a project. The next Advisory Council meeting will be held in 6 months’ time. It will be hosted by UNOPS. In the past 18 months Unit4 has made huge organizational changes within the company. They have moved from country-based silos to a global structure organized around products. CGIAR now has access to executives in the global structure and is no longer reliant on Unit4 UK. OCS Operational Support Unit (OSU) met with Paul Marriner, Global Head of the Non-Profit Advisory and explained the challenges OCS members had in their relationship with Unit4 during the implementation. As an initial starting point to repairing those relations and improving our current implementation, Unit4 have offered to carry out a review of the OCS implementation. The review will concentrate on features of the product where OCS members have indicated there are issues or where the product doesn’t provide the required features. These will include: commitment accounting and funds checking; travel; dashboards; missing workflows; and the re-engineering of the Project and Agreement implementation that is preventing us from using new project-related features of Business World. The review started in May and will be carried out by Phil Beaumont, an experienced global pre-sales consultant and a solution architect yet to be named. Group photo of Head of OSU Ian Moore (back left) with ICRAF Regional OCS trainees displaying the award. To read more in this issue. Find the full copy in high resolution here. We have had an incredibly busy time in the few months since Issue 1 of our newsletter was produced, and we can proudly say that all 10 members of the OCS initiative have gone live. We have definitely passed a crucial milestone. For many Centres, 31st December marked the first year-end in OCS. Anyone from a finance background understands that in finance departments everywhere this can be a tense time. Brand new procedures are invoked – all the General Ledger entries for the year are totalled, rolled forward, reported on, assets depreciated, accruals and prepayments calculated, accounts reconciled, and the list goes on and on. The potential for a calamity is always there in the background. If anything major is to go wrong with an ERP system then the chances are that it will happen at year-end. If there were any faults in the system set-up – a box left unticked or a table not updated, this is where the flaws will be cruelly exposed. So the year-end has come and gone and while there are have been some issues that needed to be resolved it has been a relatively calm and orderly year-end close. The fact is that this has been achieved is no small feat; teams of dedicated and committed staff have been “burning the midnight oil”, taking decision after decision, sometimes without much support or recognition, and leveraging years of experience and expertise to achieve this outcome. You know who you are, and at this point we think a metaphorical pat on the back is in order. Now, we know that an ERP system such as OCS is more than just a finance system. Several Centres have forged ahead and already implemented modules for HR (and all its many sub-components), logistics, project management, planner, timesheets, travel expenses, fixed assets, reporting and dashboards. The list goes on, and you can read about them in the user stories in this newsletter. Other Centres have included many of these modules in their 2016 work plans. Another priority Centres have set for 2016 is to ensure that OCS is rolled out to all their regional and country offices. This will provide real-time reporting on the complete set of a Centre’s activities and mitigate against some of the risks linked with small offices and segregation of duties. To assist with the process of continual improvement and development of OCS, Brendan Fagan, an expert systems architect and project manager has been recruited to lead the common developments. Brendan brings many years of experience working with ERP systems, and in particular Unit4 Business World, to the team. 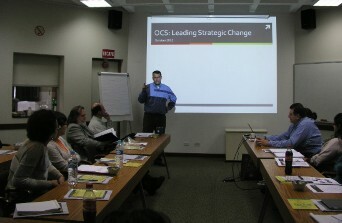 OCS at goes LIVE at ILRI! OCS went live at ILRI on 21st September 2015 with logistics and 12thOctober 2015 with finance, people and organizational development (HR), planner, project costing and billing, research and time registration. It’s been a long journey from the system definition stages in 2012 to go-live in September 2015. 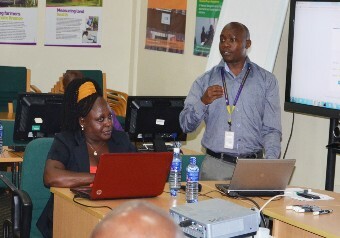 The ILRI OCS team, led by the Project Manager Isaac Kihara, have worked amidst several challenges. It was because of these challenges that the ILRI OCS steering committee made the difficult decision, in the final quarter of 2014, to postpone go-live to the second half of 2015. This saw them work on a very good set of building blocks, both in terms of the modules developed, data cleaning and preparations identified and initiated, consultancy partners (GCON4), communication activities planned and governance of the OCS project sorted out. Undertake a series of communication activities to engage staff and various types of users around OCS. Identifying Unit4 consultants to assist the ILRI OCS team had proven nerve-wracking. Among the technical operations, data transformation and mapping also proved difficult, but the biggest issue was redefining business processes. Various ILRI work processes were previously not very clear, but the OCS workflow necessitated that these be articulated very clearly. This business process re-engineering took major efforts but eventually proved extremely useful. However, it has not been entirely finalized as ILRI has the peculiarity of owning two major campuses (headquarters in Nairobi and another major campus in Addis Ababa) where business processes and requirements are not always the same. Managing expectations of the leadership and staff was another area of concern throughout the project. It was really tempting to go live in 2014, especially to cover up the slow progress in developing the system. However, the whole team resisted this and instead put emphasis in all communication materials that OCS would aim to improve processes in the organization, but would definitely not be perfect. It would require inputs from everyone to improve functionalities. Lastly, the regions (and country offices) in which ILRI is operating, beyond Nairobi and Addis Ababa, will not be served in 2015, but will have to be part of the next bandwagon. ILRI is on the final sprint before releasing all modules live. Procurement is already live and all others will follow by mid-October (2015). Then, as is the case with any system roll-out project, the real work starts; this involves collection of additional feedback from live practice, and identify the next frontier and improvements that need to be added to the system. Already the ‘people and budget planner’ module and other P&OD functionalities are planned for 2016. An OCS website has been set up. It contains information about each module, the process and plan, the issues that people are putting forward on time registration or otherwise; it also explains who is behind OCS and keeps tracks of all the meeting minutes of steering committees. On 13 April 2015, ICARDA went live with the One Corporate System after years of hard work and collaboration with other CG Centres. Representatives of ICARDA’s senior management and the OCS team witnessed the first transactions processed through the ICARDA UBW System. ICARDA’s goal has been to effectively implement OCS in all its locations worldwide to support decentralization. The organization’s biggest challenge was not so much on changing technology or creating new business processes, but motivating staff to adapt to the change. ICARDA considers OCS an opportunity to re-engineer and enhance its business processes in addition to building the capacity and skills of its staff. All staff at ICARDA were involved and trained on the use of the system. Training is a key component in accelerating performance and developing skills and abilities of staff on the use of the system. The real return on investment following implementation of a new system takes time. There are still some teething problems that have arisen, but the benefits gained far outweigh the costs and difficulties. ICARDA plans to implement additional modules in order to strengthen and streamline its business processes. The ICRAF OCS team travelled to Bogor, Indonesia to conduct User Acceptance Training (UAT) for staff from Southeast Asia, South Asia, and East and Central Asia. Participants from the Philippines, Vietnam, Thailand, India and China, as well as field staff from Sulawesi in Indonesia, converged at CIFOR where the Southeast Asia Regional as well as the Indonesia Country Offices are hosted, from the 24 August to 14 September 2015. During the first week, participants went through the common modules which comprised Introduction to UBW, Leave Application, Travel and Requisition. While participating in the training workshop, Dr. Ujjwal Pradhan, the Regional Coordinator for Southeast Asia expressed strong support for the One Corporate System initiative that is anticipated to enhance internal controls and cut across all participating CG Centres. Acknowledging that OCS, if well implemented, would provide uniform and efficient access to valuable resources required for both technical and financial reporting, Dr Pradhan noted that ICRAF SEA would remain in the forefront in ensuring co-ownership of the system by providing all the support required for trainers, both from the region and HQ. After the training, the Southeast Asia, South Asia and East and Central Asia teams formed specific expert groups and are communicating on Whatsapp and other social media accounts to share experiences, concerns and seek clarification. From Southeast Asia the ICRAF OCS training team will move on to the East and Southern Africa, West and Central Africa and Latin America Regions. ICRAF held its first open day on 16 October 2015. The main aim of the event was to gather feedback on the new system from various regions including Philippines, Indonesia, India, Vietnam, China, Malawi, Tanzania and Cameron. The sessions, facilitated by Hassan Mehmood – Head of Capacity Development, saw various issues raised, both positive and negative. Some of the concerns raised were on the Procurement module. It was largely described as efficient, but members requested that purchase orders include terms and conditions for the suppliers and that fonts on supplier details be standardised. Users were urged to ensure that they select the correct classification when making requisitions. A number of issues arose on the Citrix system and it was resolved that OSU would work on these. It was however pointed out that some maintenance had been recently conducted and this would help in resolving some of the problems. Other modules that were extensively discussed were Leave, Travel Authorization and Travel Expense Claim. On travel, it was also proposed that an option be included in the system to initiate cancellation of a TA in case one’s travel is cancelled. On the Finance modules, it was noted that the commitment slide for financial reports would be improved, journals were now working much better with the new templates and that on accounts payable, both the originator and approver would be clearly indicated for each transaction to ensure accountability. The issue of the funds checking function also came up. It is currently available but not enabled. The technical team would continue to work on this. The OCS team would also share the new budget codes with administrators. Training for other regions would begin with East and Southern Africa and Latin America before moving to West and Central Africa. OCS Operational Support Unit (OSU) News board. A lot has been happening on the OCS front. Here are some the latest additions to the environment for value addition. Amazon Workspaces for the OCS Environment. The OCS Operational Support Unit has released the Amazon Workspaces for OCS users. Amazon WorkSpaces is a managed desktop computing service inthe cloud that allows customers to easily provision cloud-based desktops that allow end-users to access the documents, applications and resources they need with the device of their choice, including laptops, iPad, Kindle Fire, Android tablets, and zero clients. Easy to use – Users will be provided with a link to the Amazon WorkSpace client, where they can log into the OCS eminent using the credentials provided by OSU support. Secure – When users are using Amazon WorkSpaces, data is not sent to or stored in end-user devices. This offers a secure, high quality experience between users’ devices and their WorkSpaces. Amazon WorkSpaces incorporates PCoIP technology from Teradici which compresses, encrypts, and encodes the users’ desktop computing experience and transmits ‘pixels only’ across any standard IP network to users’ stateless zero clients, PCs, laptops and mobile devices. Desktop and mobile compatibility – Amazon WorkSpaces clients are available for both Windows and Mac computers, for iPad, Kindle Fire and Android tablets, as well as for zero clients. When WorkSpaces are provisioned for users, they will receive an email containing details on how they can download the clients. The WorkSpaces PC or Mac client provides users with full access to their desktop and includes support for multiple monitors, audio and video. Flexible payment structure – Amazon offers a pay-as-you-go model with no long-term commitment. This means that Centres will only be charged for what they use. This is a unique feature that distinguishes Amazon Workspaces from other cloud virtual desktop providers, such as Citrix. Security has always been a main concern with cloud systems and therefore OSU has to keep abreast with the latest security systems in the market. One such system that has been tested for implementation is Incapsula. Incapsula’s content delivery network (CDN) comprises data centres located at strategic points on the Internet (e.g., close to ISPs). These locations enhance global coverage for our clients, while also allowing them to comply with regional content and privacy regulations. Incapsula’s CDN runs on top of major Tier 1 provider networks, ensuring the highest quality of service, maximum throughput and minimum latency. Leveraging Incapsula’s proven security expertise, our PCI-certified web application firewall and advanced bot protection capabilities secure any website against known and emerging threats. It thwarts all OWASP threats—from bots, scrapers, and spammers to sophisticated injection and XSS attacks. All network and application DDoS attacks are also mitigated, as are application-level attacks. Meanwhile, outgoing traffic is both accelerated and optimized by Incapsula’s caching and optimization techniques, ensuring optimal pass-through speed for welcome visitors. 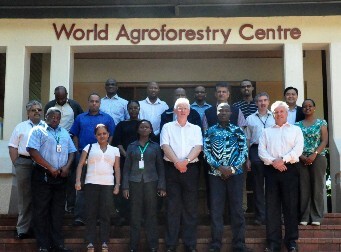 OCS finance training at ILRI Nairobi in March 2015. OCS Open Day in ILRI Addis Ababa in 13 August 2015. OCS Project Manager, Linus Kabutha and Faith Murigi ICRAF MIS assistant assisting approvers on the approval process and substitute assignment. Copyright © 2016 OCS Operational Support Unit, All rights reserved. 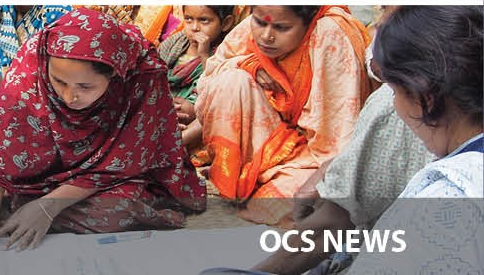 We are excited to launch our first newsletter, which is specifically designed to share experiences of the CGIAR centres participating in the One Corporate System (OCS) initiative. We plan to keep you updated on the progress of OCS through our bi-annual newsletters. The focus is directed towards you; the scientist, administrator, student and how the system can work for you, your success stories and the future plans that we have in store for OCS. We want this newsletter to be valuable to you so please don’t hesitateto share your feedback and suggestions to help us improve. Did you know that the concept of more integrated business systems of CGIAR Centres were proposed as far back as October 1999? The current proposal started to take shape in the form of the One Corporate System when in 2008 a culmination of drivers, including the replacement of outdated, unsupported, noncompliant or expensive systems,led several CGIAR Centres to investigate the option of a new corporate business system. With an urgent need for change in some cases, the Corporate Service Executives saw the potential benefits and added efficiencies from working together to implement the One Corporate System (OCS). Read More. The One Corporate System project was jump-started with 10 members signing the agreement to implement Unit4 Business World software from UNIT4.The implementation was to be rolled out in three phases. CIP, IRRI and WorldFish in the first phase, the Consortium Office, AfricaRice and ICARDA in phase 2 and Bioversity, ICRAF, ILRI and CIAT in phase 3. Read More. 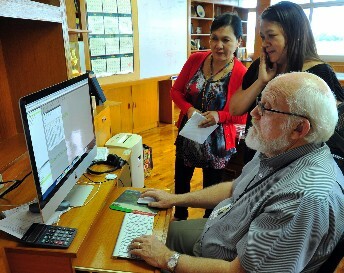 About 18 months after implementation, the International Rice Research Institute (IRRI) OCS team continues to improve processes, making business transactions simpler, faster and ensuring that project information is more accessible across the organization and other Centres. “We must be able to monitor our expenses in real time. OCS is a tool that can do just that,” noted IRRI’s Director General Robert Zeigler. “We don’t want to go back to the old, fragmented systems,” he adds. “OCS gives us something to build on, toward an even more responsive and flexible system.” Read More. International Potato Center (CIP) has been live with OCS for more than 20 months that have been full of interesting challenges and encouraging results. From the initial apprehension of transitioning to a new system to realizing the benefits of a central repository for key operational information followed by a major upgrade to Milestone 4 that has received positive reviews, OCS has proven itself to be a rewarding experience. Read More. The G41-42 room is spilling over with anxious HQ staff, as well as Heads of Corporate Services and Human Resources. Alexander Sapega marks the highly anticipated moment; with the help of the OCS project team, he logs into Agresso. “I didn’t feel nervous, because Dario Valori, the IT Manager & OCS Project Manager, and the project team were there,” says Sapega. “For me the entry was simple and natural.” Read More. The Operational Support Unit (OSU) was created to manage the common OCS hosting environment, the contracts and otherOCS administrative tasks. It’s role quickly expanded to include allcommon aspects of the OCS project including providing application support, facilitating information sharing between Centres and coordinating the design and development of future improvements to the system. A 5-year business plan has been developed that will guide the future initiatives of the project with support from OSU. Read More. Can you tell us which quick-wins OCS has brought to the Centres who are already using it? accuracy in their work. Read More. against each budget at the end of the year. Read More. CIAT began 2015 with the good news that the Unit4 Business World platform was officially launched on 5th January. The uncertainties associated with such an important event are gradually being resolved, while already yielding significant benefits for the Centre in Human Resource Management and Travel Modules which will correspond with the needs of the regions, and provide new training schedules. Read More. On 31st March 2015, ICRAF Nairobi was awash with bright green and orange, the official colours of the One Corporate System. Screens throughout the campus were lit with OCS messages. ICRAF was finally going live after years of hard work. Read More. Editor’s pick: Five posts you should read this quarter.